When it comes to engaging with the financial markets, the investment space has very quickly made the transition from cumbersome manual telephone trading, to that of digital investments at the click of the button. Not only can everyday traders now access a full suite of financial instruments on their desktop or laptop device, but this can also be achieved on the move via a smartphone app. One such example of an innovative trading platform that has opened up its doors to both the retail and institutional investment space is that of Ally Invest. In our comprehensive Ally Invest review, we’ll discuss everything you need to know. This will cover the most pertinent points, such as the type of assets you can buy and sell, trading fees, regulation, the security of your funds and more. By the end of reading our review from start to finish, you’ll have a full grasp of whether or not Ally Invest are the right broker for you. Let’s start by getting an overview as to who Ally Invest actually is. 1 Who is Ally Invest? 2 Which Assets can I Invest in at Ally Invest? 11 Ally Invest Fees: What Trading Fees do Ally Invest Charge? 19 What is Customer Support Like at Ally Invest? 24 Is the Ally Invest Platform User-Friendly? 25 Ally Invest Review: The Verdict? In a nutshell, Ally Invest is a U.S. based broker that allows investors of all sizes to buy, trade and sell a full range of financial instruments. This includes thousands of stocks and shares, alongside mutual funds, ETFs, currencies and futures. Although the broker was first launched back in 2005, they were originally known as TradeKing until mid-2016. This was when the Ally Financial group purchased the broker, subsequently renaming it to Ally Invest. One of the overarching aims of the Ally Invest platform is to provide its users with a seamless trading experience, highly competitive fees and first-rate customer service. You can access the Ally Invest platform via both a desktop/laptop device, or via a cell phone application. This makes it great for those that like to have the option of trading on the go. Although we will explore this in more detail further down, one of the biggest selling points for those considering Ally Invest is that the broker offers one of the lowest trading fees in the online investment space. This includes stocks and ETFs at $4.95 per trade, mutual funds at $9.95 per trade, and bonds at just $1 per bond (+$0.65 per contract). As such, this makes them one of the most competitively priced in the industry. To help Ally Invest users along the way, the platform also provides an array of tools to assist with investment decisions. Alongside a notable educational segment, it appears the platform is gearing its services primarily to those with little experience of financial investing, which is perfect for those at the very start of their trading journey. Finally, to illustrate the prowess of the parent organization, Ally Financial Inc. is publicly listed on the New York Stock Exchange with a multi-billion dollar market capitalization. So now that we’ve covered the basics, in the next part of our Ally Invest review we are going to break-down the full range of assets that the broker offers. Which Assets can I Invest in at Ally Invest? When looking for a new broker to trade with, it is fundamental that you choose one that offers a full range of asset classes. Otherwise, you’ll be limited to a small pool of financial products, subsequently making it an unconducive arena for diversification. Nevertheless, we found that the selection of assets available on Ally Invest is highly extensive. BondsNow let’s explore each asset class in more detail. If your primary objective in the investment space is to concentrate on stocks and shares, then you’re in luck. Our Ally Invest review found that the broker lists thousands of publicly listed companies, subsequently giving you the opportunity to create a fully diversified portfolio of investments. Ally Invest primarily focus on the major U.S. stock exchanges, notably the New York Stock Exchange (NYSE) and NASDAQ. Mutual funds are also an excellent way to mitigate your risk, not least because funds most commonly contain a range of assets from multiple industries. Moreover, mutual funds sometimes contain a mixed bag on risk-levels, which is an excellent strategy for maximizing growth. Ally Invest host more than 12,000 different mutual funds, giving investors a somewhat headache as to which fund to go with. Exchange traded funds, or simply ETFs, are financial instruments that track the movement of a particular asset, or a group of assets. They essentially allow investors to speculate on the price of an asset without needing to actually own or store the asset itself. While ETFs can be purchased across a number of asset classes, they are especially useful for investors that are looking to speculate on wider markets, such as real estate, commodities or the performance of a certain stock exchange. Ally Invest host a full range of leading ETFs across multiple marketplaces. This includes the likes of U.S. small, mid and large cap equities, emerging market equities, government bonds and a wide range of commodities. Forex trading is one of the most liquid financial markets in the investment space. In fact, while estimates vary, on the conservative side it is believed that approximately $1.5 trillion worth of currencies are traded in the open marketplace each and every day. As such, the Ally Invest platform offers a fully-fledged forex platform that contains more than 50 pairings. Our Ally Invest review also found that the broker’s forex department contains an excellent number of technical analysis tools, alongside real-time fundamental news developments. Although potentially best suited for more experienced investors, the Ally Invest platform offers a dedicated options department. For those unaware, options contracts give an investor the right to buy a particular asset at a predefined price, before a predefined expiry date. If options are your thing, then you’ll be able to purchase contracts on major asset classes such as ETFs, indexes and stocks. Although the trading of bonds is a multi-trillion dollar industry, you’d be surprised how many entry-level brokers fail to offer this particular asset class. This isn’t the case with Ally Invest, as the broker hosts a plethora of leading government and corporate bonds to choose from. Generally speaking, although risk-levels do vary in the bond space, government bonds such as those issued by the U.S. Treasury are considered to be one of the safest investment avenues in the financial sphere. So now that you have a comprehensive understanding as to what asset classes you can invest in, in the next section of our Ally Invest review we are going to explore what kind of fees the broker charges. Ally Invest offer two account types for trading – a Self Directed Trading account and a Managed Portfolio account. The self-directed trading will allow you to trade whichever stocks, ETFs and other instruments you like at a cost of $4.95 per trade. The managed portfolio option is for a more hand-off approach and works like a Robo-Advisor, letting their technology take care of trades and balancing your portfolio. This account has a minimum investment of $2500 and an annual fee of 0.3% for all balances. Before we show you how to open an account at Ally Invest, it is important to note that the platform is only available to U.S. residents. As such, if you’re based overseas, you will only be able to open an account if you are a U.S. citizen that is in full receipt of a social security number. As Ally Invest does not have a separate domain from the main Ally Bank website, you’ll need to head over to the investments section of the platform.To make things easier for you, simply click here to go straight to the Ally Invest registration page. Once there, click on Start Trading. Enter the required information linked to your identity. You will now be required to enter a range of personal information to get your Ally Invest account open. Firstly, enter your full name, prefix and email address. Next, you will need to specify what type of account you want to open.Take note, this part of the application process is of the utmost importance. For one, choosing the wrong account might result in tax complications further down the line. The three main account types are a choice between an individual, joint or IRA account.However, by expanding the more account types button, you’ll see many more options. This includes entity accounts such as trusts, investment clubs and LLCs. After entering your date of birth, country of residence and marital status, you’ll then be required to confirm your social security number.Ally Invest use trusted governmental sources to verify that your social security number matches the account information you provided, and subsequently speeds up the verification process. Once you’ve confirmed your social security number, you then need to enter your phone number. Moreover, this is where you will need to set up a security question.Choose your prefered question from the drop-down list and enter your answer. You’ll need this in the case that you forget your login credentials, so be sure it’s something you will remember. You will now need to enter details of your current employment status, as well as the name and address of your employer (if applicable).You will also advise Ally Invest about your current financial standing. This includes your annual income, net worth, liquid net worth and tax bracket. Finally, to complete your Ally Invest account application, review the information you entered, read through the terms and conditions and finally, sign the electronic agreement.If Ally Invest were able to validate your personal information via external sources, then your account should be opened with immediate effect. Ally Invest Fees: What Trading Fees do Ally Invest Charge? When it comes to choosing a new broker, understanding how the fee-system works is of utmost importance. We always prefer brokers that are completely upfront with the fees that they charge, as well as ones that make the pricing structure easy to understand. Our Ally Invest review found that overall, trading fees are ultra-competitive. However, as fees vary depending on the type of asset class you are investing in, as well as other factors such as your trading volumes, we will discuss the fee-system in more detail below. Stocks and shares trading is the most demanded asset class on the Ally Invest platform, not least because there are thousands of companies to choose from. In its most basic form, Ally Invest will charge you a flat fee of $4.95 per stocks and shares trade. This is charged at the point of buying the stocks, as well as when you sell them. In comparison to major market competitors such as E*TRADE and TD Ameritrade, this is notably more competitive, not least because the aforementioned brokers charge $6.95 per trade. The great thing about the Ally Invest pricing structure for stocks and shares is that investors are rewarded for trading higher volumes. If you were able to make a minimum of 30 trades in the prior month, or hold an account balance that exceeds $100,000, then you’ll be accustomed to a trading fee that is reduced to $3.95. Mutual Funds – Ally Invest charges all users a flat fee of $9.95 to trade mutual funds. This is charged at both ends of the transaction. ETFS – Much like in the case of stocks and shares, Ally Invest charge a flat fee of $4.95 for ETFs. You’ll also benefit from the reduced $3.95 rate if you meet the aforementioned stocks and shares trading/account balance minimums. Forex – Ally Invest does not charge its users to trade forex, meaning that the platform is commission-free. Instead, Ally Invest make their money via the spread. Although there is a slight disparity on forex spreads depending on the underlying pairing, generally, they are reasonably tight at Ally Invest. Options – You’ll pay a flat fee of $4.95 to trade options at Ally Invest, plus an additional fee of $0.65 per contract. If you’re able to meet the minimum requirement of a $100,000 balance or 30+ trades in the previous month, you’ll get this down to $3.95 per options trade plus $0.50 per contract. Bonds – When it comes to bonds, Ally Invest also use a flat fee-system. You will pay $1 for each bond you purchase, at a minimum of $10. Bond fees are capped at $250. Managed Portfolios – Although the vast majority of Ally Invest users opt for the self-directed trading platform, we should also note that you have the option of investing in a managed portfolio. This is where Ally Invest manage your portfolio on your behalf. If this is something you would like to explore further, you’ll pay an annual management fee of 0.3%. While this is actually very competitive, just remember that you’ll need to invest at least $2,500 to gain access to the managed portfolio service. So now that you have a good idea as to how much the broker charges on each asset class, in the next section of our Ally Invest review we are going to look at deposits and withdrawals. First and foremost, and in a somewhat unusual move for an online broker, Ally Invest do not have a minimum deposit amount. This is perfect for those that want to start their trading journey with smaller amounts. When it comes to funding your account, the easiest way to do this is to use a conventional debit card. This will ensure that your deposit is credited to your Ally Invest account immediately. Other payment methods, such as a bank wire, usually take 1-2 working days before they are posted to your account. If you are instead looking to transfer funds via the Automated Clearing House (ACH) network, then expect to wait anywhere between 2-5 working days. Finally, while cheque payments are accepted, this will take a pain-staking 5-10 working days before you’ll see the funds in your Ally Invest account. When it comes to withdrawing your funds out of Ally Invest, the most commonly used method is that of a bank wire. You’ll pay a flat fee of $30 to wire funds to a U.S. account, or $50 if the account is based overseas. Cheque withdrawals are also possible, with a small charge of just $5 per transfer. If you currently bank with Ally, then withdrawals are free. Alternatively, if you want to transfer your funds to another broker, this can also be achieved via your account portal. If you transfer your entire balance, you’ll pay a fee of $50. If you are instead transfering a segment of your portfolio, Ally Invest charge $10 per security, up to a maximum of $50. So now that we’ve covered deposits and withdrawals, in the next part of our Ally Invest review we are going to explore whether your funds are safe at the broker. One of the most important factors to look at when choosing a new broker is whether or not your funds are safe. Let’s break this down in more detail. The first thing that our Ally Invest review looked at was the regulatory status of the broker. Ally Financials Inc., the parent company of the Ally Investment platform, are regulated and fully authorized by both the Financial Industry Regulatory Authority (FINRA) and the Securities and Exchange Commission (SEC). In terms of keeping client funds safe, Ally Invest utilize the services of Apex Clearing Corporation. The particular organization are themselves members of FINRA, as well as the Securities Investor Protection Corporation (SIPC). As such, Ally Invest are in full receipt of the required regulatory licenses to offer investment products to those based in the U.S. There is often a misconception when it comes to Ally Invest and its status as a FDIC broker. The Federal Deposit Insurance Corporation, or simply FDIC, is a U.S. based deposit protection scheme that aims to protect client funds if an institution subsequently ceased to exist. While Ally Bank themselves are in fact members of the FDIC scheme, meaning that customer deposits are protected up to a maximum of $250,000, this doesn’t apply to the Ally Invest segment of the business. As such, funds that are held within the Ally Invest platform are not covered by FDIC insurance. Ultimately, although Ally Invest and their respective parent company are highly established players in the financial sphere, this means that you can never be 100% sure that your funds are safe in the even that the broker runs into financial difficulties. In terms of the underlying security of the Ally Invest platform itself, 128-bit Secure Sockets Layer (SSL) safeguards are in full operation. For those unaware, this means that the platform encrypts all client information to you ensure that your data does not get in to the wrong hands. From the perspective of the client, Ally Invest also offers a range of login safeguards to ensure that your account is not compromised. This includes two-factor authentication, which requires you to enter a unique code that is sent to your cell phone every time you perform key account functions. As an securer safeguard, you can also utilize the multi-signature control that Ally Invest offer. This is where you will be asked to enter additional security credentials when you login, such as a security PIN, secret question or even your fingerprint ID. So now that we’ve covered the key points related to regulation, insurance and security, in the next section of our Ally Invest review we are going to explore customer support. 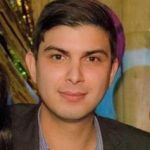 What is Customer Support Like at Ally Invest? Ally Invest claims to put first-rate customer service at the very top of their list, so we were keen to explore how accurate this statement was. First and foremost, the broker offers a range of customer support channels. This includes live chat, telephone and email, as well as a dedicated help section that is often sufficient for more account queries. If you’re happy using the Ally Invest live chat facility, you’ll have access to customer support around the clock on a 24/7 basis. Phone support is less active, with agents available between the hours of 8am and 6pm, Monday to Friday. As a side note, if you’re thinking about calling the team at Ally Invest, you can view estimated waiting times via your account portal. In terms of response times for email support, the broker advises that they aim to respond to all emails within 24 hours. As such, if your Ally Invest account query is of an urgent nature, you’re best off opting for phone support or live chat. To back up the first-rate customer service levels claimed by Ally Invest, the broker has in fact won some notable awards. This includes the 2017 ‘Gold Stevie Award for e-Commerce Customer Service – Banking, Business Services & Insurance’. Moreover, the general consensus in the public domain is that customer service at Ally Invest is first class. So now that we’ve explored customer service levels, let’s discuss what educational tools are available within the platform. No matter what stage of your investment journey you are currently at, having the right tools to facilitate your goals is crucial. At the lower-end of the experience spectrum, this will include detailed educational guides that explain the basics of how to trade. For those with more experience, technical chart and fundamental analysis tools are also crucial, as they provide traders with the required knowledge to beat the marketplace. First and foremost, the Ally Invest platform hosts a really useful educational section that lists a good number of advisory blogs. This includes informative guides on topics such as market volatility, inflation and margin trading, as well as how to deal with the emotions associated with market dips. Our only gripe with the educational blog section was that posts are a bit infrequent. On top of the blog section, Ally Invest offer a detailed walk-through on the vast majority of their financial instruments. This not only gives you an understanding as to how the asset class functions, but also how you can utilize the Ally Invest platform to meet your objectives. Essentially, due to the sheer strength of the Ally Invest customer service department, if you are ever unsure about anything, you can simply call the support team to have a one-on-one discussion. Fundamental analysis refers to the evaluation of a specific company, asset or security, based on both internal and external factors. This might include financial performance, demand and supply, interest rates or profit forecasts. The Ally Invest platform provides an array of fundamental research and market data for invests to ponder over. This also includes metrics such as real-time quotes, dividend dates, market statistics and even comparisons against key industry competitors. Many within the investment space will argue that technical analysis is just as important as evaluating the fundamentals. This is where traders analyse previous price movements with the aim of searching for trends that might indicate a potential market signal. Ally Invest have a good number of tools available that can assist with technical analysis. Charts can viewed in as many as 8 different formats, such as mountain, candlestick and bar indicators. Moreover, you also have access to 36 drawing tools, as well as over a hundred chart studies. These analysis tools are further supported by profit and loss graphs, as well as a probability calculator that takes in to account implied volatility. All in, although we were initially under the impression that the broker was initially targeting the low-level/beginner segment of the investment space, our Ally Invest review found that the platform is perfectly suitable for traders of all sizes. So now that we’ve covered educational and research tools, in the next section we are going to discuss the overall design of the platform. Is the Ally Invest Platform User-Friendly? It is all good and well when an online broker offers an extensive range of financial instruments across a number of different asset classes, however there is nothing worse than using a platform that is difficult to navigate through. 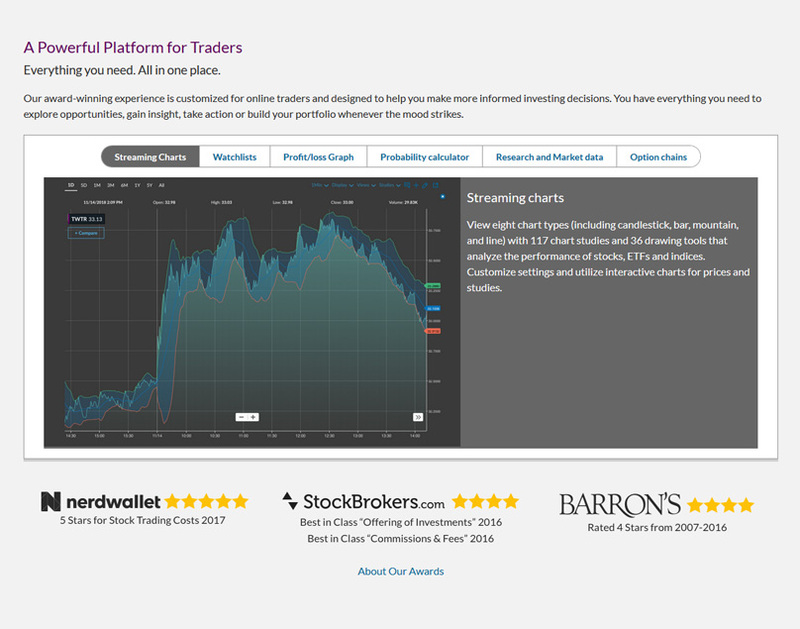 When we tested out the Ally Invest platform out ourselves, we were pleased to see that the design team have done a good job with the overall layout. Through the use of HTML5, the default trading platform is both crisp and clear, subsequently ensuring that inexperienced traders do not feel intimidated at the first time of viewing advanced market statistics and metrics. On the other hand, Ally Invest users also have the option of customizing their trading layout, which is great for those that like to give preference to the appearance of certain analysis tools or market metrics. For those that like to invest on the move, you’ll be pleased to know that Ally Invest have launched a dedicated mobile app across Android, iOS and even Windows. However, the Ally Invest app appears to have mixed reviews on the open marketplace. One such example of a potential flaw is with respect to account balances. 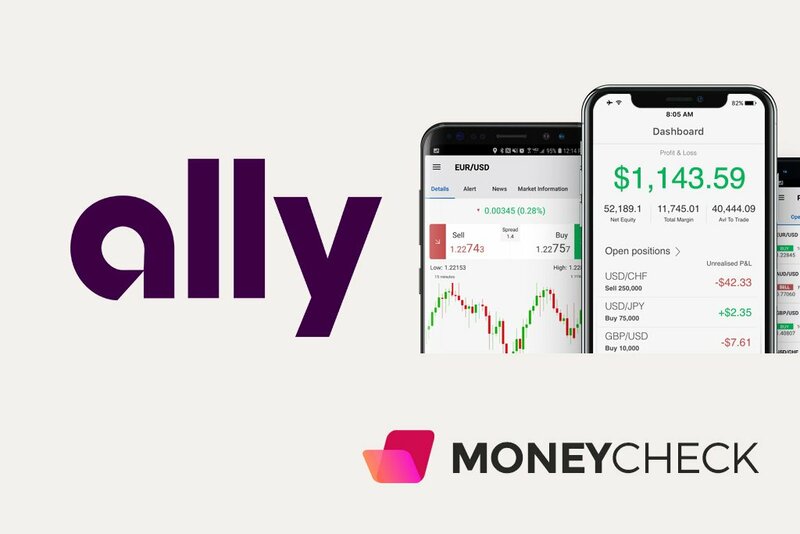 Some users claim that when using the Ally Invest app via Google Play, there is no option to view your current account balance until you actually place an order. Other complaints relate to the non-storage of passwords, delayed chart updates and issues pertaining to contract prices. In summary, although the design and layout of the desktop platform is highly intuitive and simple to use, the mobile section does potentially require further attention. So now that we’ve covered the layout of both the desktop and mobile trading departments, in the next section we are going to show you how to get started with Ally Invest. Ally Invest Review: The Verdict? In conclusion, if you’re based in the U.S. or a U.S. citizen living abroad, then Ally Invest tick most boxes in the online investment space. No matter what type of experience you have in financial trading, the broker has something for everyone. Whether you’re looking to trade stocks and shares, ETFs, bonds, options or even mutual funds, the range of assets hosted on the Ally Invest platform is highly extensive. Our Ally Invest review found that one of the platform’s strongest points is that their fees are really competitive. For example, you’ll only pay a fixed fee of $4.95 when buying and selling stocks and shares, and mutual funds come in at just $9.95. Moreover, on top of offering top-notch customer service across live chat, email and telephone support, Ally Invest users also have access to highly useful educational guides, as well as both fundamental and technical analysis tools. Ultimately, our only potential gripe with the platform was the fact that the mobile app had the odd imperfection. However, as Ally Invest users have made this point clear in the public domain, it is hoped that it won’t be long before these issues are fixed.